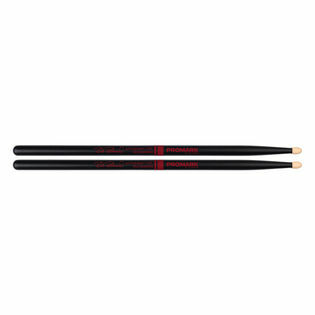 The Promark Rich Redmond ActiveGrip 595 is a 5B Drumstick. The stick has a short taper and classic oval 5B wood tip. This Redmond stick a well balance front weighted feel and optimizes power and speed while laying into the pocket making it perfect for studio session work and outdoor festivals. Promark's ActiveGrip Technology is heat activated. The Stick gets tackier as hands sweats and body temperature rises preventing slippery dropped sticks.